Third graders researched an object in our solar system. 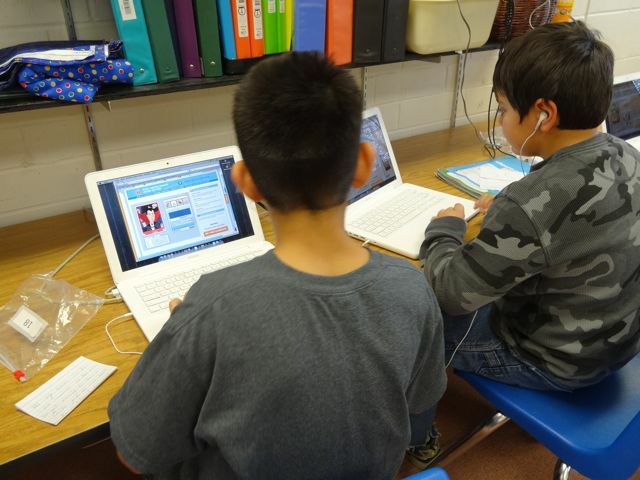 Using Voki, they created their own avitar who speaks the text they typed in. They accomplished the following IT standards: "Use avatars to share information. Use the Super 3 research process (identify, locate, use). Use digital tools and resources such as online databases for research." Another project they completed was scanning a QR code that led them on a scavenger hunt for simple machines. Once they found the "machine," groups of 2 or 3 made a video to prove they followed the clues. They accomplished the following standards: "Scan documents to save and share" "Use a digital device to take pictures and upload them" and "Use QR codes"